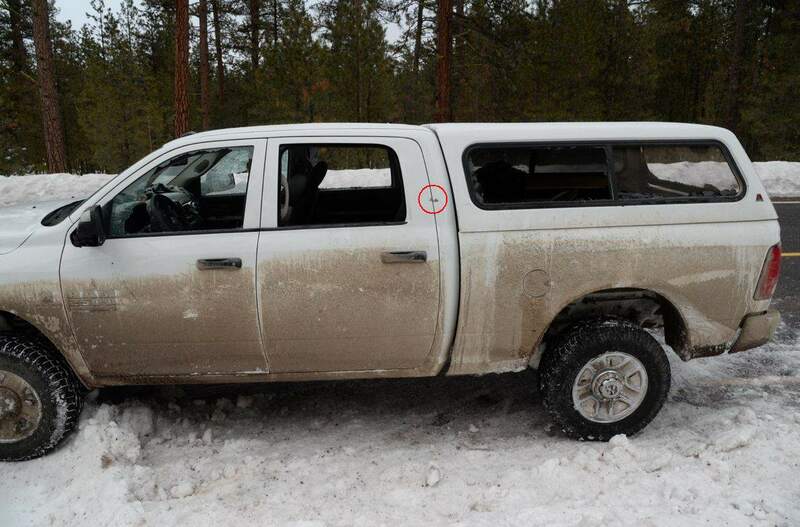 On January 26, 2016, LaVoy Finicum was shot and killed by Oregon State Police just moments after an FBI sniper took at least two shots at Finicum as he exited his white pick-up truck in a snow bank after avoiding a roadblock. W. Joseph Astarita, a member of the FBI's elite Hostage Rescue Team, was indicted for lying and obstruction of justice in the shooting, and later entered a plea of not guilty and, unlike the Bundy's or their supporters in either Oregon or Nevada, he walked without bail. 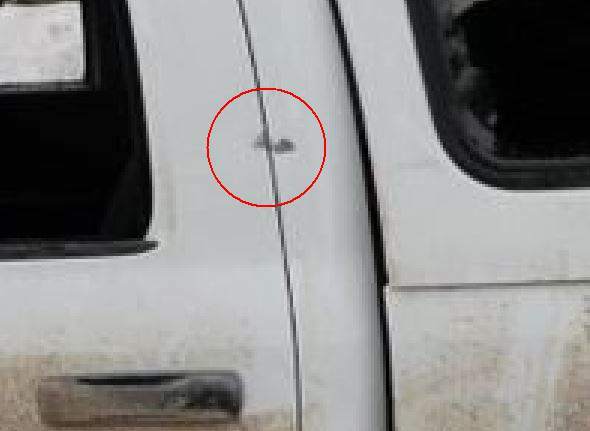 On that day, as Finicum exited the truck after shots were fired at the truck, two more shots, presumably that came from Astarita, were fired at him, missing him. Finicum has been credited by survivors with attempting to draw fire away from the vehicle towards himself to protect those inside from being shot. Note the synced video below. Like the shots taken by another over zealous FBI sniper, Lon Horiuchi, at Ruby Ridge that killed Vicki Weaver, Randy Weaver's wife, as she held their baby, this guy did basically the same thing. Finicum was no threat to anyone as he exited the vehicle. Had either of the bullets struck and killed Finicum, this agent would be guilty of murder. But the FBI, like they are doing with Hillary Clinton, seem to be trying to cover for one of their own, and who knows, if Astarita gets off, he may be promoted just like Lon Horiuchi, who was also a member of the FBI's HRT. The main issue in the case against Astarita is that shell casings are missing, and as Gary Hunt at OutpostOf Freedom.com points out, Ryan Bundy may actually hold the key to who shot at the truck. 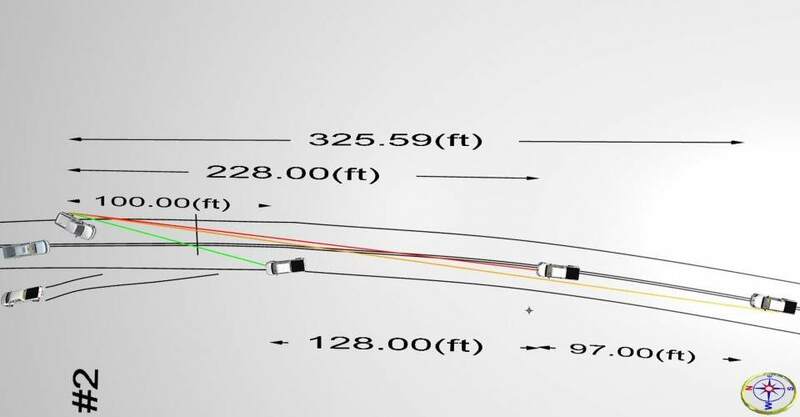 So, the problem here in dealing with this issue is the missing shell casings, but casings are missing from the shots taken by Oregon State Troopers, as well as from Astarita. One would think that bullets would have to be accounted for from every single member of the Oregon State Troopers and the FBI on the scene, but apparently, this was not the case. How could they not hear them? They are as plain as day in the synced video. Furthermore, the agent and at least several other agents were investigated concerning the shooting within 2 months of the shooting. Where is the indictment against these men? Where is the indictment against the Special Agent in Charge? Was he not paying attention to what his men were doing? Was he not keeping up with the operation on this day? In pointing out what I have said before, Hunt wrote, "Astarita is charged with three counts of making a false statement (18 US Code §1001) and two counts of obstruction of justice (18 US Code §1512(b)(3)). What he is not charged with is, though it has become apparent that he did in fact, attempt to murder LaVoy Finicum and/or Ryan Bundy. As indicated by Maxine’s article, the prosecution is suggesting that there is no evidence — not of murder, rather, that Astarita lied." Hunt also points out that shooting at an occupied vehicle is a criminal offense in the state of Oregon, and he eventually points out the very thing that I'm pointing to in my opening remarks about the corruption in the FBI. "On January 26, 2016, a government “soldier” (armed with military grade weapon and accoutrements) attempted to kill, or at least, recklessly endangered the occupants of the white truck," Hunt concluded. "He is not charged with such a crime, even though one of the occupants sustained a gunshot wound. Instead, he is charged with being dishonest and impeding an investigation. That would never have happened if we were still under the King. Instead, we have the hens (the United States Attorney and the FBI) guarding the foxhouse (the FBI), so, well, we know, now, just how this may end." Gary Hunt was arrested back in March for simply reporting, though the Judge in the Oregon Malheur Refuge case called it contempt. He was clearly justified in his reporting. Mr. Hunt has been a faithful reporter for more than two decades, covering such stories as Waco and Ruby Ridge. He deserves our support! Let's retrieve that bullet or bullet fragment from Ryan Bundy's shoulder and see if we can't tell whose gun it came from and then, let's charge that person with attempted murder, along with obstruction of justice. Mr. Astarita is scheduled to be tried February 27, 2018.